Another fun day spent between Christmas and New Year messing about in the mud. I say mud, it was wet but rideable for 99 percent of the course. The NBRC trio was well ready, myself and Adriana felt fit enough having done some running and a single training ride. (not big fans of the Christmas stodge so no weight gained). Tim had been eating cheese and wine apparently although fitness and strength never seems to be a problem for him. Course was through the woods with some lumpy grass loops around a huge parkland. Two hundred meters into my warm up I turned round and decided to race blind. Didn’t have the tools or time to clear the mud from my bike and to be fair I could see and guess the woody parts to get the idea. Start got me up alongside Tim, so I backed off as that would be blow up effort. After first couple of laps I had lost a pair of good riders (one with the luxury of a second clean bike every lap). Watching people pull out with mechanicals meant that I was going up the results by default also. Tim happened to be the first person I did see at the side of the track, gear problems and out, I shouted I would try and get a result to compensate, it was feeling like at least a top twenty at this stage. My goal for this one would have been top 10 to 12 with the dream of £5 prize money! With Tim expected to land inside top 10 our small team has the ability to be high up the tables for the rest of the year and onto next. Final result was a hard won 13th and only 12 secs behind 12th placed rider. I made some mistakes and had one tumble trying to fly out of the woods downhill, where I was making up time compared to the power parts of the wet grassland. After churning up the ground the ladies and Vet 50 race was on. Adriana had a technical wooded course which looked to a playground for local MTB riders s to master, she also did not ride course. No tumbles and no mechanicals from her Giant TCX. Many people broke their bikes. After the first lap she improved in confidence and finished 6th. Tim and myself would like to encourage NBRC riders to come and try this racing. Tim moves up to the 50 class next year so we can assist and help each other in the pits if needed. 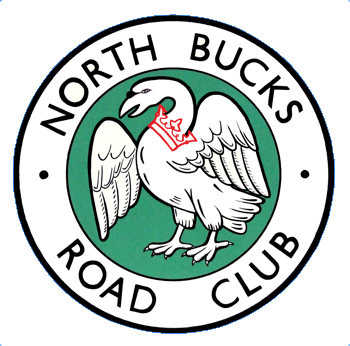 There is enough talent in NBRC to be all over the top twenty and perhaps the leading club in MK on the league. Tim has some thoughts on encouraging having a go at cyclocross - watch this space. The women's event: Adriana in view! The women's event: Adriana in view! A muddy track! A muddy track!